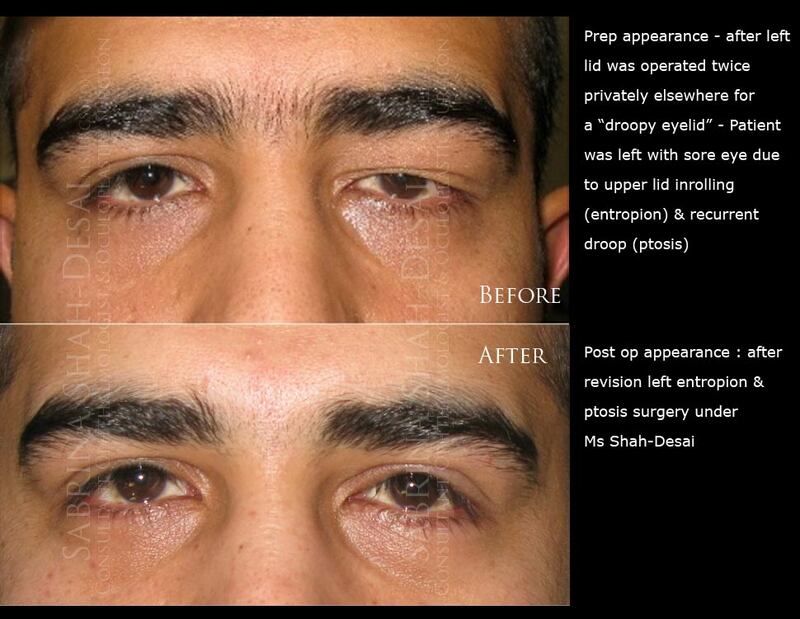 Case study for revision droopy eyelid (ptosis) surgery | Aesthetic Treatments in UK. “I was initially operated on by a Harley Street surgeon to correct a droop (ptosis) in my left eyelid. Two unsuccessful surgeries by the original surgeon made my condition much worse – the eyelid had a swollen appearance, I had no skin crease or lid fold, and the eyelid had been cut so much that it was turned inwards (entropion). I had a sore red eye, with blurred vision as my my eyelashes were constantly rubbing against my eye.